ask who's in your area with Decware gear. WHY THE SET & EFFICIENT SPEAKER APPROACH WORKS! An article that explains where we're coming from. This amplifier was designed to be the ultimate desktop amplifier having the same footprint as an 8-1/2 x 11 sheet of paper. We wanted to re-create the same experience on the desktop as we have in the listening room... which is to say we want the same imaging and sound-stage performance with a seductive beauty found only with tubes. To achieve this goal a desktop amplifier actually needs to be a listening-room amplifier and be able to be used in either place. A major feature that makes this amplifier unique is the way it creates its own grain-free clean power with glow tubes. By using the glow tubes in series with the power supplies we get similar or better performance to using a $6000 power re-generator. The end result is a serious listening room amplifier that has been miniaturized to fit on the desktop. A pretty impressive accomplishment considering it is a dual-mono single-ended design without compromises. 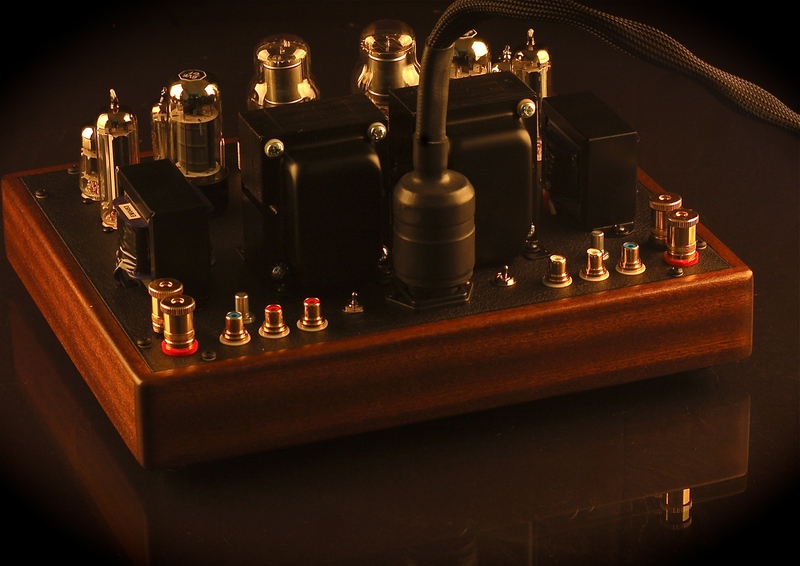 The audio circuit is a very minimalist dual-mono single-ended design featuring a volume control and input selector for two sources. The amplifier's overall gain is high enough that during those times when you don't have a real DAC hooked up it can still sound good driven by something as weak as a laptop's headphone jack. There is also an adjustable treble-cut with a bypass switch so that if you find yourself streaming compressed MP3 music while you're working, you can make it more tolerable by reducing the very top end where the results of jitter and compression are most apparent. The dual-mono design gives the amplifier a separate power supply and even a separate power switch for each channel. Basically it's two monoblocks stuffed into a single chassis. Dual- mono enhances performance and makes troubleshooting tube problems fast and painless. The Mini Torii is basically the most exotic tube amp you can squeeze into a package this small. Its sound and build quality consistently exceed everyone's expectations... which are already quite high. Mini-Torii Glow tubes used to clean the incoming power. Rear view in our standard walnut base. 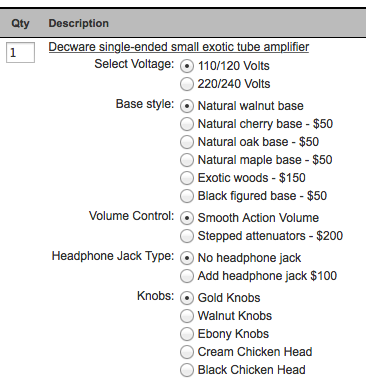 There are a few options available for this amplifier that can be selected from within the shopping cart. Select Voltage: Choose the voltage for your country. The appropriate power cord will be selected for your location and included with the amp. Base style: The standard base is dark walnut. Custom woods can be selected for an up-charge. Exotic woods would be anything not listed, like for example; Zebrawood. Just write the kind of wood you want in the comments section when you place your order. Volume Control: You have a choice of smooth-action volume controls which allow for better adjustability or 20-position stepped attenuators which allow for better transparency. 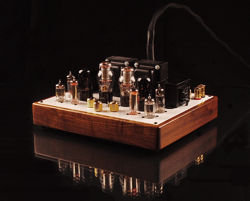 Headphone Jack Type: A headphone jack can be added to this amplifier. It's located in the front and is available in 1/4 inch only. The headphone jack option works well with both planar and dynamic headphones. Knobs: There are three controls on a Mini Torii... a left and right volume and a treble-shunt. Below are the knob choices for these controls. NOTE: Choices 3 & 4 make the unit non-refundable. 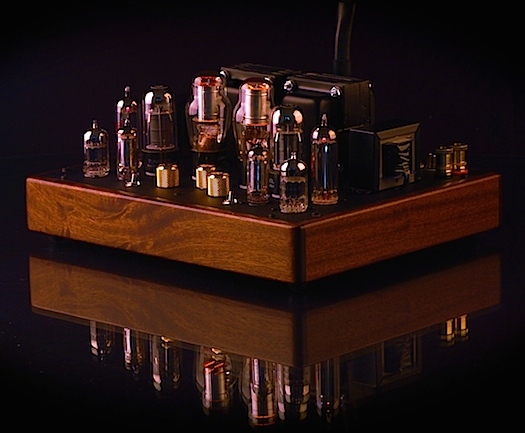 Everyone needs a good reference, so the stock tube complement that ships with this	amplifier is carefully tested and voiced for the amplifier. Our factory tube complement is of the highest quality and ideal for those who wish to not worry about tubes and just enjoy the music. If you decide to change the way this amp sounds despite the fact that we ship it with hand-picked top-quality tubes that we like, that's OK.
You have the rather empowering opportunity to experience the unique and delicate signatures of a large variety of tubes. 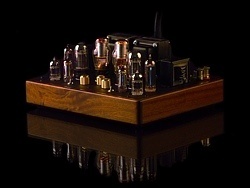 In fact it almost becomes an experience of listening to the tubes themselves...	not the amplifier. All of these tubes shown below will work in a Mini Torii - each pair sounds a little different. 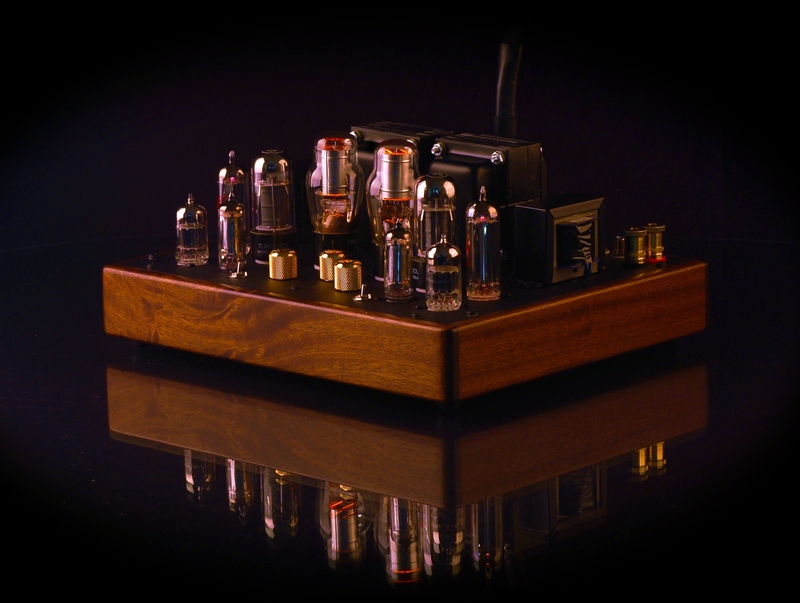 There are large sonic differences between the 6V6, 6Y6, 6K6, 6F6 and 6L6 output tubes in the Mini Torii amplifier. 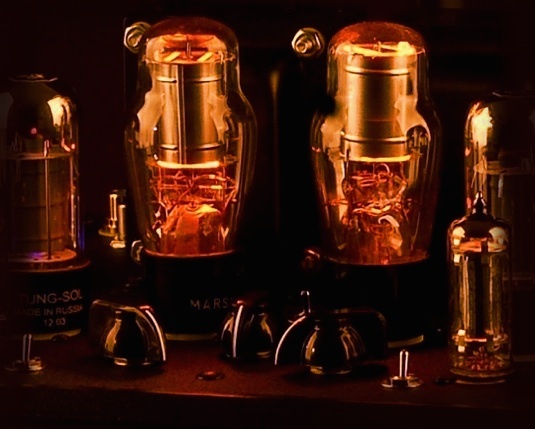 The differences are not unlike owning a completely different amplifier with every change. Mini Torii ships with an OA3 Voltage Regulator tube for each channel. This is the best performance of the four available alternates. The remaining three (OB3,OC3,OD3) can be used to take the tube-rolling experience to a deeper level. 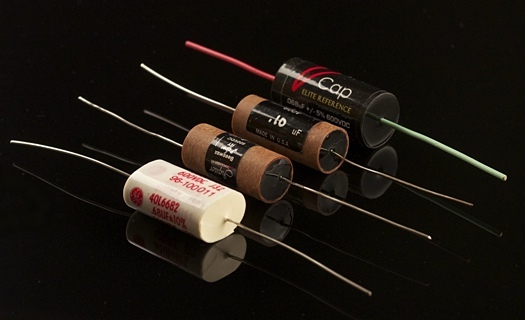 All four of these voltage regulator tubes create a different voltage for the output tubes which changes the sound. 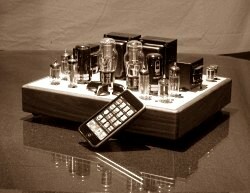 This amplifier is hand-built in the USA by DECWARE / High Fidelity Engineering Co. It comes with a lifetime warranty to the original owner. 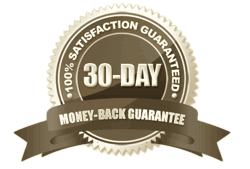 If you purchase one second-hand and ever have questions or technical problems we WILL be happy to check it out for you and service it if needed for a very reasonable rate. We also have a support forum with many people who own this amplifier whose experiences you may benefit from. 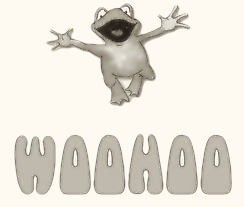 You may read reviews on our amps here. Easily distinguished by the gloss white chassis plate. 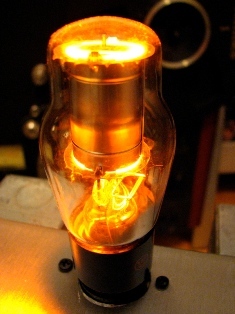 Original models used a 7-pin 6X4 rectifier tube that was later changed to a 9- pin current-production EZ90 rectifier tube. Also easy to recognize because the finish has been upgraded to black wrinkle. Features user-adjustable variable feedback. 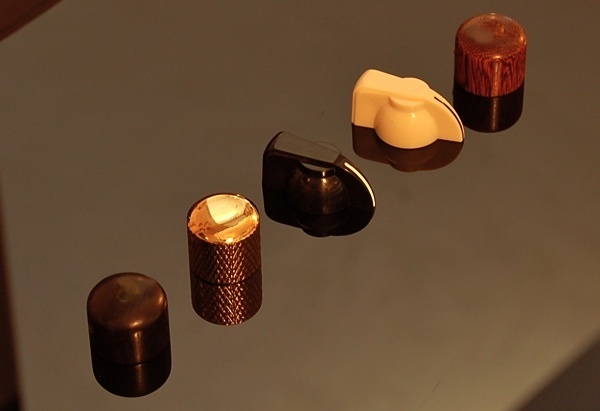 Cryo-treated beeswax signal caps are now used throughout. New high-mass steel chassis for improved micro-phonics... adds 150% more mass! Installed UFO output transformers for better resolution and an impedance switch that lets you hear your speakers with both a HI and LO impedance setting. An ultra-serious upgrade to an already incredible amp. This amplifier requires no adjustments or maintenance other than changing tubes every couple years. 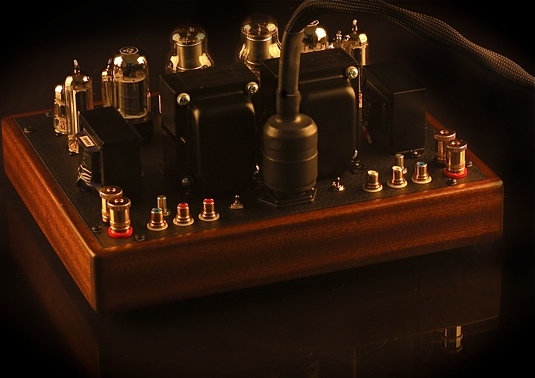 It's a self-biasing design and dual mono which means matched tubes are not required. 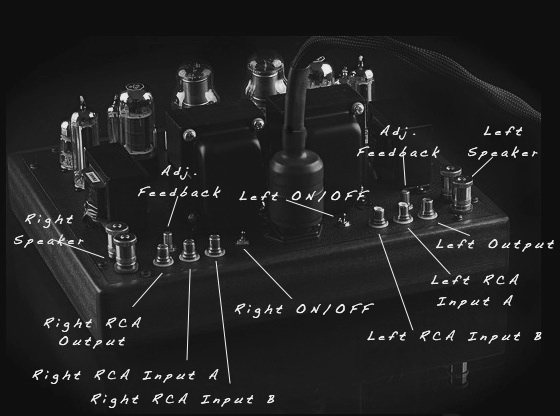 STEVE'S DESIGN NOTES on the original 2009 amplifier. Shown left with an IPod to give you a sense of scale. The Mini Torii is small enough to fit on your desk. L i f e t i m e W a r r a n t y !